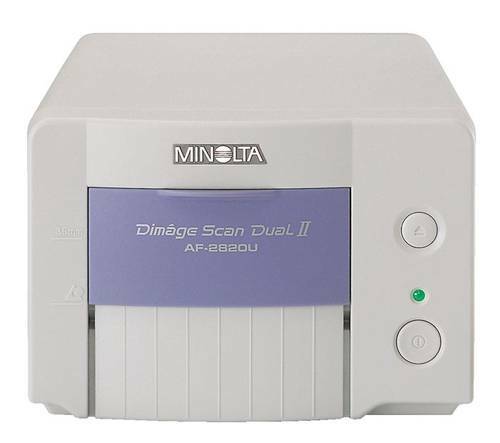 The Minolta Scan Dual II is a relatively old scanner, originally released in September 1999. I bought this unit in 2013 as a backup to my Sony UY-S90 which was capable of automated scanning full rolls of film. Less than a year later I decided to remove the Sony scanner in favour of the Minolta Scan Dual II. As with many old scanners the official software is quite poor, producing very slow scans, regularly crashing and will not work on any modern operating system. The resolution to this is Hamrick VueScan which allows you to use this, and many other scanners with modern operating systems. Using VueScan my 15 year old Minolta Scan Dual II works flawlessly with xUbuntu 14.04 AMD64, scan times are even improved along with the final image quality using VueScans built in filters. VueScan also allows you to use many old and new scanners on Linux 32-Bit/64-Bit, Windows 7/8 and MacOSX and in my opinion it is an essential purchase for anybody who regularly uses scanners. As much as I love this scanner, it is obvious that it is from the budget end of the scale. The unit is very light and uses a lot of plastic. The stepping motors are loud along with a scanner door that is stiff (I may have to remove the door to clean and oil it!). On the other hand the film and slide adapters, although plastic, feel strong enough. I have dropped the 35mm film adapter a number of times, my children have got hold of them in the belief that they are food and our cat likes to sit on them, but needless to say they are still unmarked and work perfectly. I am personally very happy with the quality of scans produced using the Minolta Scan Dual II coupled with Hamrick VueScan. This 15 year old scanner produces fairly sharp scans at 2820dpi giving a final image just below 10 megapixels allowing for true 300dpi prints up to 12×8″. Scanning a full roll of 36 negatives takes around 45 minutes without preview but including changeover time, so allowing 10 minutes for changing film strips over a 2820dpi scan takes around 1 minute per 35mm negative. In JPEG format scans are around 3MB per image, or around 25MB in TIFF format. For an ageing scanner that can now be purchased at a reasonable price (around £75 including shipping on ebay), you will not be disappointed with the results produced if you use the correct software (VueScan currently charged at $39.95 for the standard edition, or $79.95 for the professional edition). In short I will not be replacing my Minolta Scan Dual II unless I win the lottery or it breaks. I agree with you, this scanner works fine. I need to copy APS films and it requires the adaptor AD-10 or AD-100. Do you know were I can purchase one? The APS scanners are fairly rare, they do come up on ebay from time to time. Your best bet would be to set up an ebay search notification so that when one is listed you get an email with the details. 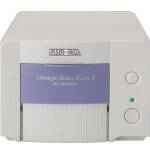 Although I’ve thought about buying one in the past I never did as I used to work in a photo lab so would borrow their equipment when I needed to scan an APS cartridge.